For financial services organizations, putting employees at the forefront of the brand can be a vehicle for building trust and tapping into an engaged audience. Recently, we hosted a webinar with Louis Beirne from MD Financial Management and our CEO, David Lloyd on “Banking on Trust: Employee Advocacy in Financial Services.” During the discussion, Louise and David discussed the current state of trust within Financial Services, empowering employees to be a credible voice for the brand, and reaching new audiences on social media. Both David and Louise had a back-and-forth discussion around how financial brands are still rebounding with trust. As Edelman noted, in 2018 there was a double-digit trust decline amongst the informed public segment, including a 20-point drop in the U.S.
A good call out from David was the massive focus financial brands are placing on employer branding and social recruitment. He mentioned, “there’s huge competition to get your financial brand out there and engaged from a recruitment standpoint.” There’s a war for talent within today’s jobs market and everyone is looking to hire the same candidates – whether it’s for retail banking, FinTech or even computer software. 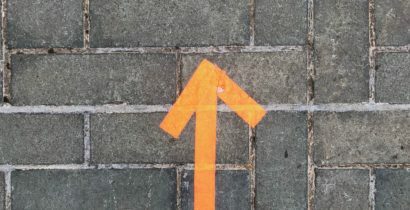 Brands now have a tough hill to climb to convey the message that they’re the ideal workplace, especially because there’s a huge gap between the number of jobs available versus candidates available. Right now we’re in a job seeker’s market where the candidate is in control and has an abundance of choice. To stand out in a competitive job market, brands have to leverage their employees as advocates for their brand and be where candidates are today – social media. The habits of B2C and B2B customers are merged recently. The compelling part is that everyone carries their bank in their pocket. According to FIS Consumer Banking Report, 72% of all bank transactions are digital, with Millennials leading the way. In the past few years, digital banking on mobile devices has become the new norm. Millennials are so serious about their financial health that more than a third (34%) have a written financial plan, much higher than 18% of Baby Boomers. 57% don’t mind which channel they use to communicate with their bank. Double-digit Trust declines amongst the informed public segment, including a 20-point drop in the U.S. When we polled the webinar audience on maturity with social media, they found that 57% of people use social media in their company to engage customers and businesses are tracking metrics and have social media corporate guidelines in place. However, only 23% of companies professed their maturity by securing executive buy-in, integrating social media into their marketing strategy, and successfully tracking ROI. Executive buy-in is a critical component for employee advocacy success across all of our customers because it dictates how well a program runs. An astounding 71% of companies said that they currently allow their employees to share content through social media. This is surprisingly high due to financial services being a highly regulated industry, especially one which had previously considered social media usage taboo. Louise saw an uptick in older generations when looking at her social media demographics. She noted that this differs based on the channel. Instagram gearing towards a much more narrow younger demographic whereas Twitter, LinkedIn, and Facebook is geared toward a much wider age demographic. She recommends auditing which audience segment is on each channel to further speak to the specific demographic in the tone and language which resonates. Employee advocacy gives brands a trusted voice through social channels. Especially since people trust the recommendations of their peers. Customers are empowered to be more selective with their bank providers. They have the luxury of choice. Louise mentioned that customers do want to have an emotional connection with brands. They want to know the name and a brand beyond just a logo. The first step is to perform a social media audit to not just understand which channels to use but also to know where your customer will most likely be. For a B2B organization, this may be trended more towards LinkedIn while B2C organizations may cater to their audiences on Twitter and Facebook. Whereas networks like Instagram and Pinterest are more so focused on community outreach and events such as the Scotiabank Marathon. Through Louise’s experience, she agrees a social media audit is a must. This is something she does annually because social media consistently changes, especially algorithm and what content they want to prioritize. To start, Louise recommends prioritizing the most used channels and crafting a content strategy for those specifically. The resistance to employee advocacy can lie within the older workforce who did not grow up as digital natives. Unlike their Millennial counterparts, social media, the Internet, and mobile technology are not second nature. To help everyone feel more comfortable on social it is important to conduct training and create proper guidelines. Social Media Training: in-person social media training will give you the most attention. Guide, Not Command: establish guidelines to manage risk and to enhance employee trust. Make It Easy: employee advocacy platforms simplify the sharing process for employees. 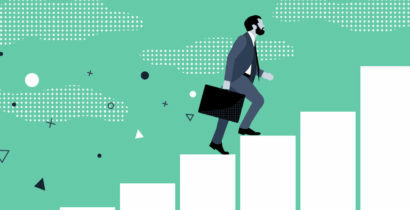 Getting executives to buy-in to employee advocacy is the number one reason why some organizations achieve a level of success far superior to others. Leadership involvement also conveys to employees that social media is a priority for the business. Offer social media training to ensure they know how to use it, see the value of it, and understand the best practices for each different network. Make it easy to share and advocate through one centralized content library. Social media is not without challenges – especially for financial brands handling sensitive information. With regulations such as FFIEC and FINRA, compliance is not just a nice-to-have. Louise’s experience isn’t unique, concerns from the compliance team were raised. However, social media is a living breathing ecosystem and restrictions are often rigid. It is very important for marketing to develop a relationship with compliance. Louise runs monthly meetings focused on educating both sides on concerns and potential issues so they can work together to mitigate any risks. 1. How are you tracking ROI? Louise has different KPIs and goals for each channel, more specifically corporate social media channels versus employee social media channels. For example, through their paid social media efforts, they’re tracking the number of leads generated. Secondly, they’re very focused on engagement and brand awareness which is tracked through clicks, comments, and likes. This set of metrics is tracked as a leading indicator for ROI, meaning they are an initial push to drive further marketing metrics such as lead generation, website conversion or revenue. 2. When asking employees to share, and not having full control over what they are saying, how do you pass this through compliance and regulation? When the audience was polled on how important compliance was for employees sharing content, 79% believe it is a necessity. Compliance is critical when content is being shared on social media. The challenge today is that most employee advocacy solutions available only allow employees to share content out but there needs to be additional scraping across social media profiles to catch non-compliant messages after they posts have been sent. For brands looking for employee advocacy platform, employee personalization is important is as important as compliance. Having a solution that allows employees to share content with their personalized message, but also audits for banned phrases and messages is critical. 3. How do you choose what advisors to be involved in the program? Do you look at their social media presence to determine it? When Louise first looked at developing an employee advocacy program, they decided to start with a pilot which included a wide range of advisors from engaged and social media savvy employees to employees who were social media naysayers. They didn’t want to focus on a specific region because they wanted a wide sample. They wanted to include detractors/neutral and convert them later on into believers. 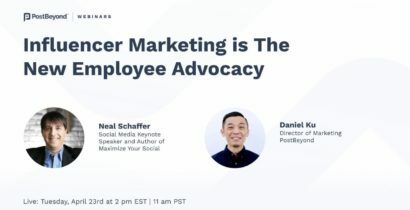 For brands in financial services looking to drive into employee advocacy, it’s critical to pilot any employee advocacy program with a group of social-savvy employees. Ensure employees are trained and educated on how to use social media. Daniel Ku is the Director of Marketing at PostBeyond and has spent the past several years bridging the gap between companies and customers through social media. Daniel is on a mission to help marketers get onboard with social selling, content marketing best practices, and employee advocacy. Outside of work, Daniel likes to practice his squat form, listen to podcasts and tell bad jokes.